We had some friends over for The Walking Dead premier a few weeks ago, and since it was close to Halloween, we had some creepy treats to nosh on. Our friend Rachel (not me) made these “brain cupcakes” (super good by the way – the cupcakes were chai flavored – whaa?? 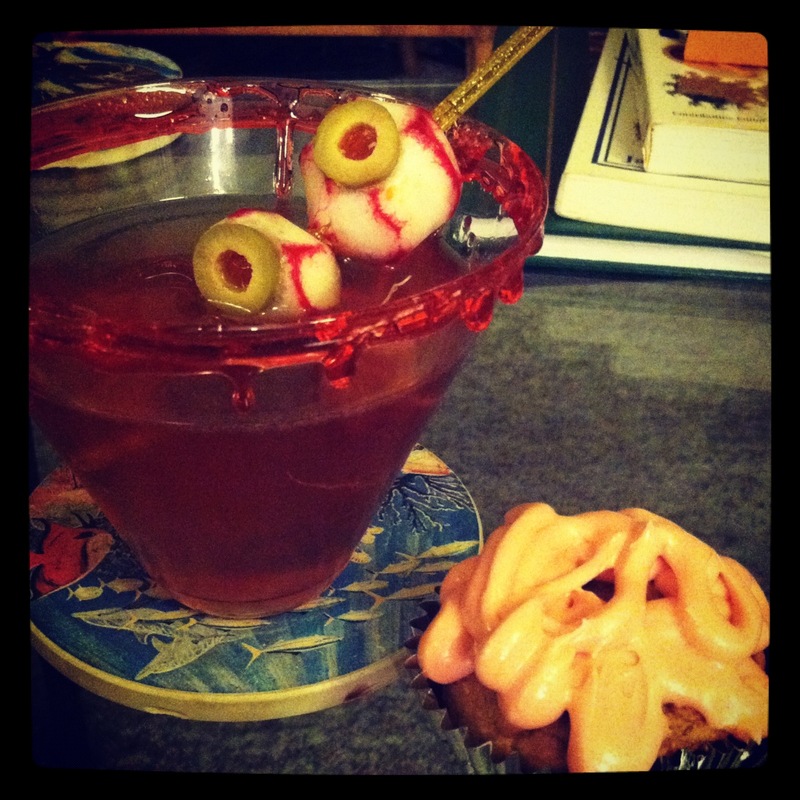 ), and I made these creepy bloody cocktails – it’s basically just a cosmo, but I made my own candy elixir to create the bloody rim, and then made eye ball garnishes with radishes and olives. There were also bone shaped mozarella biscuits with bloody marinara dip. We might have a problem. What are your favorite Halloween treats? Or if you’re not in to treats, what are your favorite tricks? Mine is putting the creepy Halloween ghoul decoration we put on our porch in Jeremy’s closet the day after Halloween. Gets him every time . . .